I’m a fan of personal growth. Ever since 2005 when I attended the Landmark Forum and it changed the course of my eating disorder, and life, I’ve was a believer. We’ve all heard that “we’re either growing or dying”. And change can feel like suffering (when we resist) or it can feel uplifting (when we’re in the flow). Motivational speaker, Tony Robbins, says that “progress is happiness”. I believe that’s true. When I find myself at my lowest (struggling/resisting) I come to realize it’s because I’ve let my hopes and dreams dim and I’m just sort of going through the motions. One thing I find to personally keep me in perpetual growth mode is to have a compelling WHY. I mean…why grow, right? Why not just sit on the couch and watch the latest episode of some pointless sitcom?! That is not my idea of a life worth living. 30 Day Challenges can be about whatever you want them to be about. They’re your work – or growth – so you get to choose. Just don’t make them so easy they don’t create growth. If you’re making one up just to say you have one, you’re not going to get the real benefit out of it. 1. WHY – why am I doing this? What do I want to have as a result at the end of 30 days? What’s my outcome or purpose? 2. WHO– Am I leaning towards the person I want to ultimately be or away from who I do not want to be? Hint – it’s better to be leaning towards who you see yourself and leaving the old you behind than doing it because you see something awful in yourself and you just want to remove it. Focus on your vision for who you want to be first – that will create the pull (and your why – see #1). 3. WHAT – what is your challenge and how can you make it specific enough that you’ll get your desired outcome in #1? Will you need resources to help you achieve your outcome? Will you need to make some adjustments to your life before you even start your challenge? If so, think ahead and put them in place. For instance, I started a 30 day video challenge and realized a few days in I didn’t have enough hard drive space. Now I’m scrambling to back up files and move things around so I can keep making videos. Avoid hassles by thinking ahead so you can meet your goal of doing what you say you’re going to do each day. 4. VARIETY or CONSISTENCY – some challenges are about creating discipline or consistency in order to stop or start a new habit. (i.e. 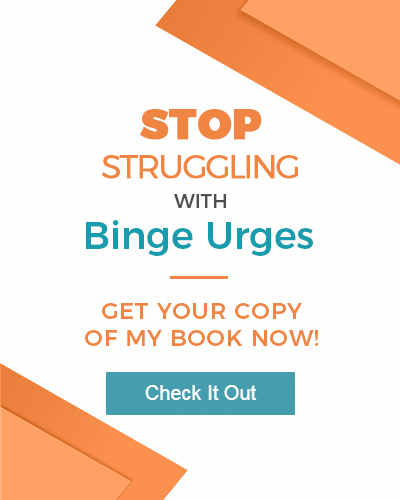 stopping binging each day or negative self-talk) There are some challenges that are all about variety and mixing it up. For instance, you might do one thing differently each day to self-sooth or avoid becoming upset/anxious/overeating. Have fun with it. That is a great question. Some people in your life may be loving and supportive of anything you do that is growing who you are and then there are some people who are the complete opposite. They’ll question or negate anything you try to do to make yourself a better person. Share only if you feel a) you want their support in the process and b) you think they will be supportive and will encourage or help you keep accountable. Otherwise, keep it to yourself and be accountable to your highest and best self. Lastly, I’d like to leave you with 30 ideas to start your creative juices firing from HighExistence.com. Their list of 30 Day Challenges for 30 Days is chock full of nice ideas to pull from. If you have ideas or ones you’ve done before, please share in the comments below. What would you like to have in your life in 30 days that if you started today you could have? Something to stop or start doing? Is there a task or activity that would bring more joy to your life if you did it consistently each day (think meditation)? I hope you’ll give your own personal 30 Day Challenge a try. You can read about my 30 day Happiness Project from last year to give you more ideas. Sometimes I do shorter challenges – like when I did my 10 day Zen Habits challenge – that was amazing.